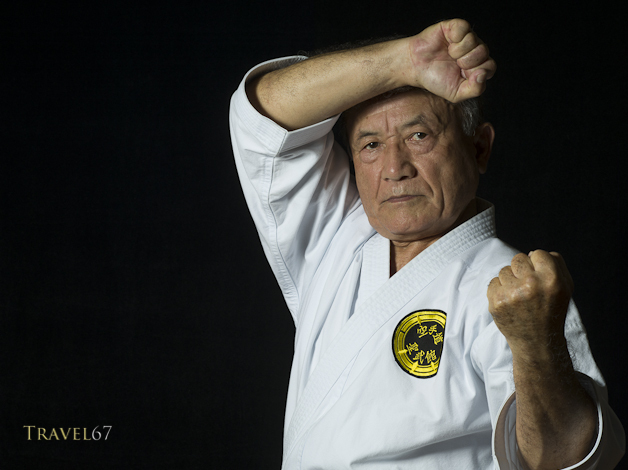 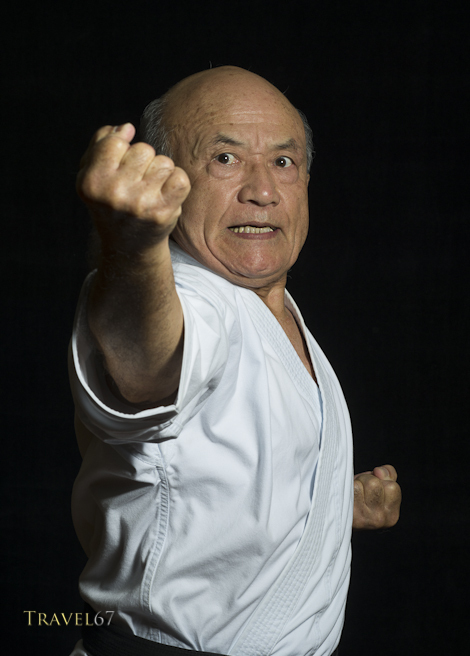 Shorin-ryu Seibukan Karate 10th Dan Zenpo Shimabukuro, the latest subject of the Karate Masters Portrait Project. 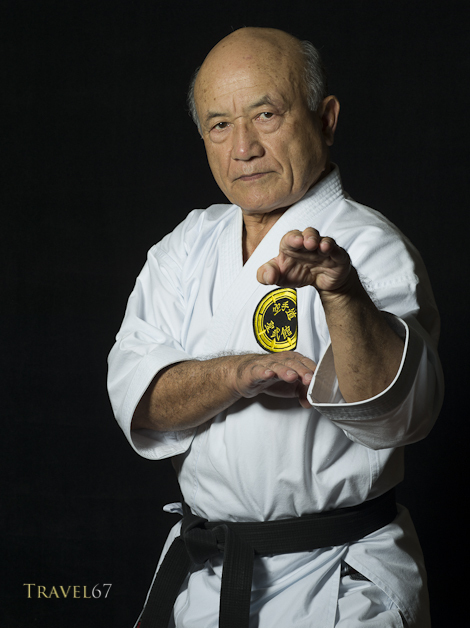 Shimabukuro sensei was kind enough to take an hour out of his evening for the shoot, and told us how pleased he was that James and I are undertaking the project. 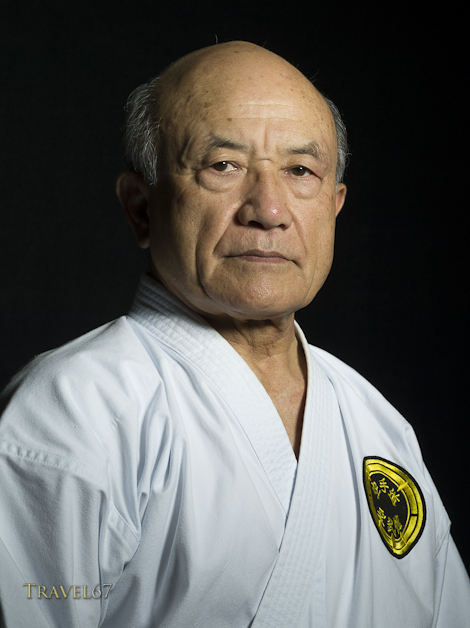 This is always good to hear as the sensei we have photographed can help us connect with the other masters on Okinawa.